Yes, this is becoming a trend for me. I love that something so simple can look unexpectedly sophisticated. This week I played with texture by pairing a wider, athletic lace with a simple v-neck sweater and my favorite charcoal suit jacket. The royal blue is a nice contrast against the light teal. Just so you know, I plan on riding this wave until it breaks. Go forth and dress well. Nine times out of ten, there’s no way you’d catch me wearing yellow. I’m willing to make an exception for any of these cool kicks. 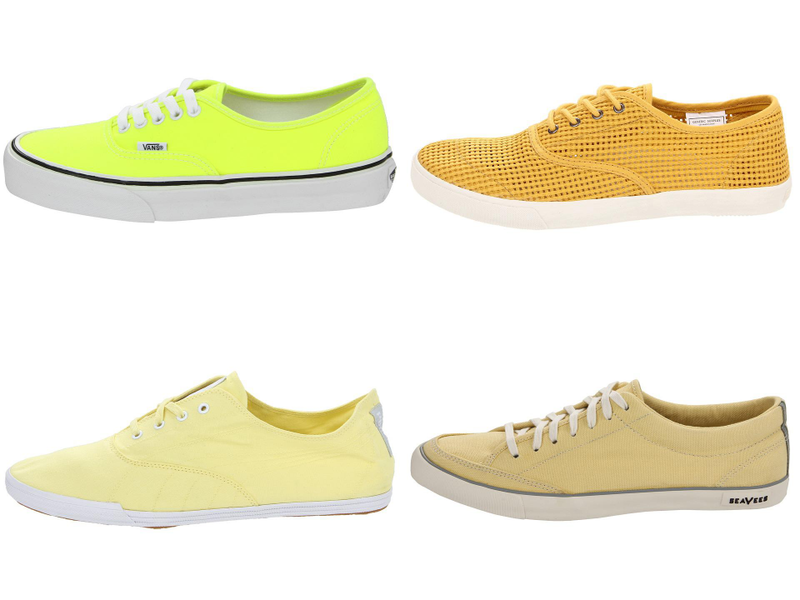 Ranging from mellow to “Hello!” these sneakers epitomize spring and are sure to brighten your day. If you ask me, I’d say they’re pretty mcfly. Anyone? Here’s yet another obligatory “What I Wore on Easter” post. I was feeling festive so I decided to wear some color, actually a lot of color. 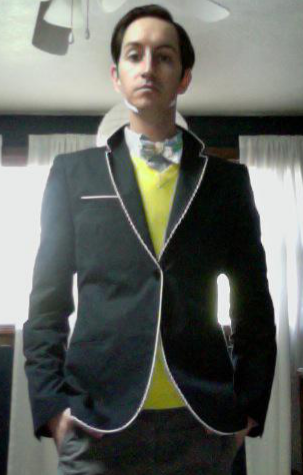 I usually don’t wear yellow, and I only own this sweater because I found it on clearance last year. 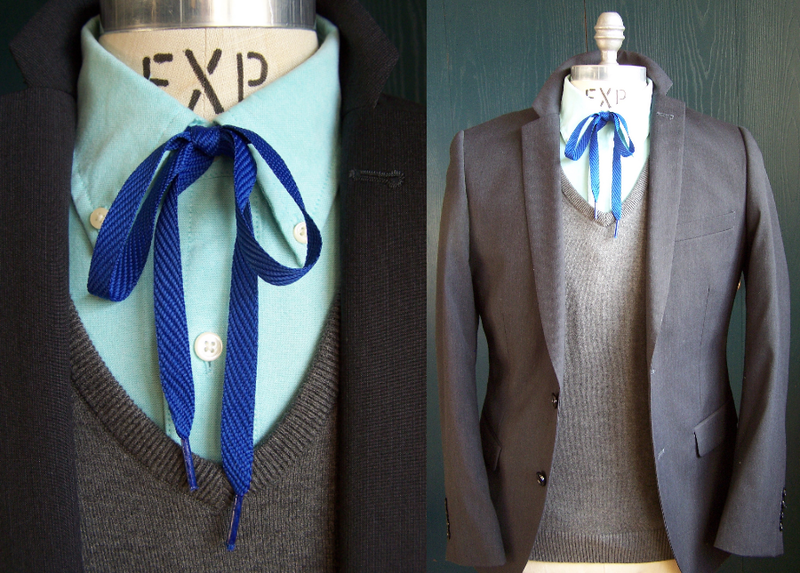 I used 2 pieces of scrap fabric to make a reversible bow tie that I think pairs perfectly with this look. Thanks again to Buffalo Dandy for giving me the bow tie pattern! And might I add that he was looking quite dandy himself! Instagram would have come in handy for this one. 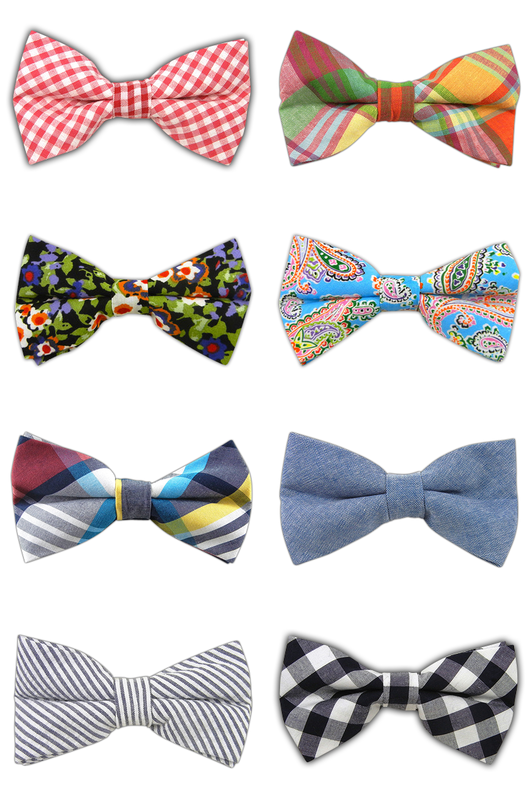 To prep you for Bow Tie Friday, I’ve gathered some of my favorite finds from The Tie Bar. The online retailer offers a bevy of patterns, materials, and styles (including reversible) large enough to satisfy even the most discerning dandy. And at $15 each, they’re as affordable as they are snappy. So this Friday, start off your weekend with a bang and a bow. I lose, break, or otherwise destroy sunglasses like it’s my job, so spending $150 a pair isn’t an option. For every other guy that treats his sunnies like a demolition derby car, I give you cool shades for under 50 bucks. They won’t last forever, just long enough for you to forget where you left ’em. A watch says a lot about a man. 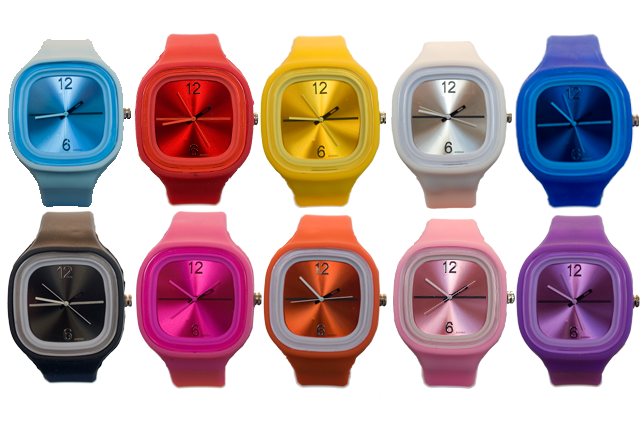 These watches from Hello Somebody say you have great taste in timepieces and support a company that works to provide food, education, water, and freedom for children who would otherwise go without. 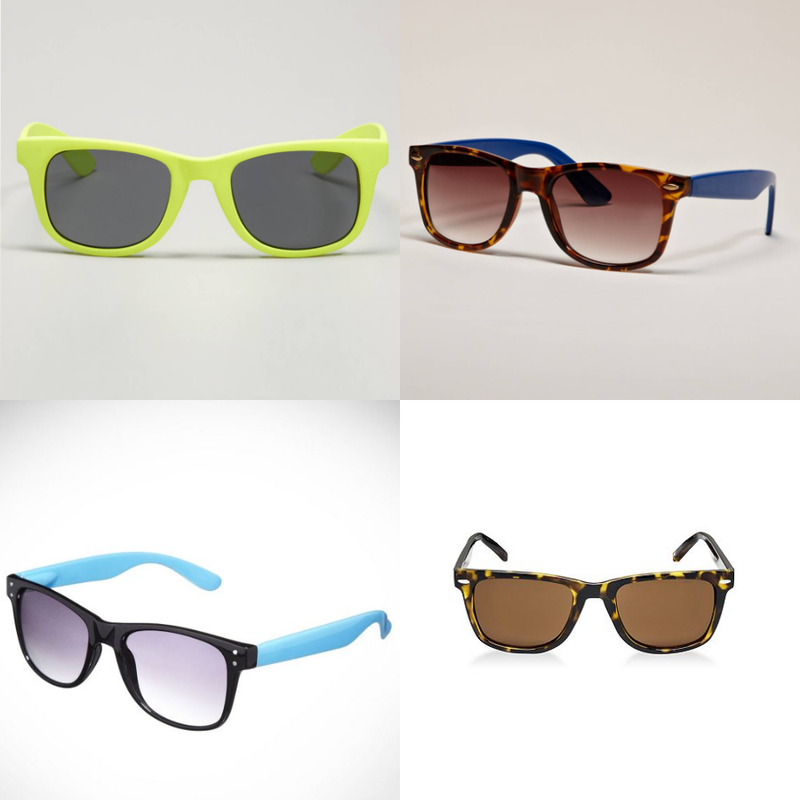 Available in a ton of great colors, they’re an easy and inexpensive way to help others and look cool doing it. Too often short sleeved button ups get a bum wrap. While I fully support a preppy, haphazardly rolled sleeve, sometimes it’s just better to go ss (short sleeve). And for the record, those boxy, business casual nightmares that your dad and grandpa wear are indeed terrible. Many retailers, however, offer tons of great, slim fitting alternatives. I suggest starting the hunt at Target. I found four really cool options that come in at an affordable $17 each. They’re cut nice and slim (I actually tried them on) and have plenty of room in the sleeves without being too loose. With summer friendly patterns and colors, you’re bound to find a few you like. And at $17, they’re worth a buy. 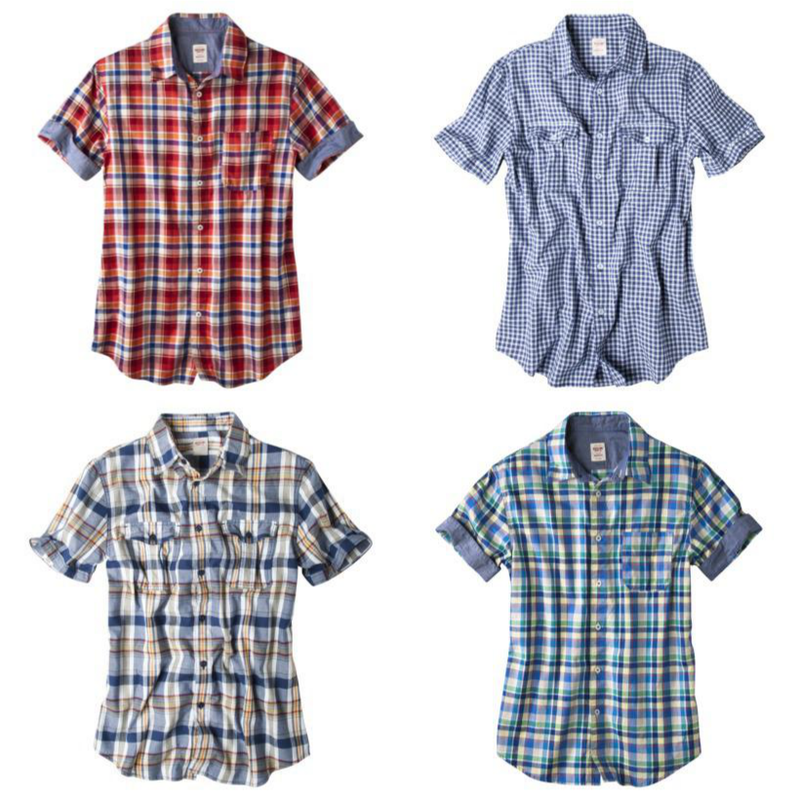 All $17 by Mossimo available at Target in cuffed sleeved or poplin. 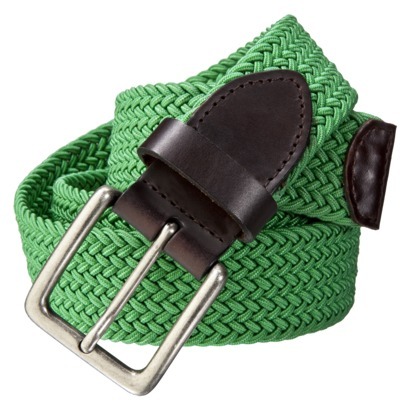 Since you’re already there, pick up this Merona belt for $15. It’s one of the only belts you’ll need this summer.